This entry was posted on February 26, 2015 by Mark Robertson. Mark Robertson is the Founder of CrowdDD, a website where investors can share research and due diligence before they commit capital to an investment. The wisdom of the crowd helps guide investment decisions by allowing people to share information they've gathered during their due diligence process. Mark is an experienced Investor, so we asked him to write a guest post to explain his decision-making process, and what attracts him to one deal over another. We hope you enjoy his post and visit his site at http://CrowdDD.com to learn more about Crowdfunding Due Diligence. Looking over 500+ online investment opportunities, I’ve learned a great deal about due diligence and the pitfalls to avoid while investing. The biggest benefit is access to deal flow and the ability to diversify geographically and across asset classes. In my mind the asset class that offers the highest risk adjusted return is debt investing via crowdfunding platforms. Research crowdfunding platforms. You need to first get comfortable with the platform. Do they have the experience and capital to be long term players? Do they have the investor’s interest as their number one priority? 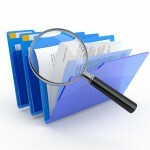 How much due diligence do they perform on the investor’s behalf? Does the platform have a contingency plan for distributions and K1’s if they go out of business? Research the Fees. Fees vary wildly from platform to platform. I stay away from high fee deals and platforms. You have to weigh the tradeoff of services provided versus the fees charged. How much due diligence is the platform providing? 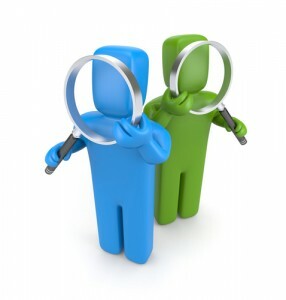 In general the higher the fee, the more due diligence the platform performs. Research the borrower. How many deals have they done? What is their track record? What is their credit rating? Research the Investment. If and only if you are satisfied with the first 3 steps, dig into the investment details. Study the appraisal and comps. Do they ring true? What is the loan to after repair value percentage? I do not invest if it’s over 70%. I like deals in the 50’s. Are you in first or second position? I like the safety of a first lien position and only invest if I am first in line if the deal goes south. Google the location and do street views of the neighborhood. Research the city and confirm it’s actually growing and has real estate appreciation. Once you are satisfied, I will invest less than 10% of my personal “loan pool” into any one deal. I then stagger my loans to only 1 or 2 a month. By doing so, I have some loans coming due about every month which reduces my risk to an economic downturn. I also diversify by never loaning more than twice to the same developer or in the same city. Doing the above takes time and energy. I typical share due diligence with a handful of fellow investors via email and we have saved each other from making bad investment decisions. We have uncovered information that once shared with the crowdfunding platform resulted in the investment being removed and refunds issued. If 3 investors had the power to remove potential bad investments, what could thousands of investors do if they worked together? I saw a need for an independent platform where investors could discover, rate, and review crowdfunding platforms and investments. With that in mind I developed CrowdDD.com, the “Yelp” of equity and debt crowdfunding. Crowd Due Diligence was born with our motto “Let the wisdom of the crowd guide your next investment”. We soft launched http://CrowdDD.com in mid-February of 2015. Before you invest, sign in and see what the crowd thinks. This post was written by Mark Robertson, CrowdDD, LLC Founder. Mark is an experienced Investor, having done more than 50 debt or equity crowdfunding investments. Visit his site http://CrowdDD.com to learn more about Crowdfunding Due Diligence. This entry was posted in Q&A From the Patch and tagged online real estate investment opportunities, online investing, CrowdDD, Mark Robertson, real estate debt crowdfunding, due diligence on February 26, 2015 by Mark Robertson.